The William Dean Howells Society welcomes submissions for two panels at the 29th Annual American Literature Association Conference to be held in San Francisco, May 24-27, 2018. Historically, the subject of Howells’s politics has been a matter of dispute. For some—most notably H. L. Mencken and Sinclair Lewis—Howells evinced a contemptibly timid conservatism that was an impediment to political progress. Whereas for others, like Timothy Parrish, Howells stands as the Gilded Age’s “most politically radical writer.” What is incontestable, however, is that politics remained a constant concern for Howells, from his early days as a legislative correspondent, to his time as consul, and finally as the nation’s preeminent critic and novelist. In his polemical criticism, for example, he framed Realist aesthetics as a means to actualizing America’s democratic ideals. In his column of July, 1887 he writes, “Democracy in literature is the reverse of [aristocratic aesthetics]. It wishes to know and to tell the truth…it does not care to paint the marvellous and impossible for the vulgar many, or to sentimentalize and falsify the actual for the vulgar few. Men are more like than unlike one another: let us make them know one another better, that they may be all humbled and strengthened with a sense of their fraternity.” Late in his career, political matters took center stage for Howells. Alone among his peers, he famously risked his reputation and position by defending those accused in the Haymarket Affair. However, though he’d become an avowed socialist and outspoken opponent of economic inequality who sided with workers in labor disputes, Howells was critical of strikes and direct action. In The World of Chance (1893) he writes, “the right way to universal prosperity and peace is the political way…we must have the true America in the true American way, by reasons, by votes, by laws, and not otherwise.” Throughout his career, Howells’s political sensibilities evolved, but his preoccupation with democracy was unwavering. For this panel, we invite proposals for presentations that examine the subject of democracy in Howells’s work. Howells on social organization, utopianism, class struggle, direct action, etc. For this session, we invite proposals for presentations concerned with any aspect of Howells’s life and work. Please submit 300-500 word abstracts to Andrew Ball (ajball79@icloud.com) by January 24. The subject of the email should be “Howells ALA 2018” and the proposal should include any A/V needs you will require. This entry was posted in Calls for Papers on January 18, 2018 by Donna Campbell. This entry was posted in Howells Society, Howellsian on November 28, 2017 by Donna Campbell. Please submit 300-500 word abstracts to Andrew Ball (ajball79@icloud.com) by January 8. The subject of the email should be “Howells ALA 2018” and the proposal should include any A/V needs you will require. This entry was posted in Calls for Papers on November 10, 2017 by Donna Campbell. Abraham Lincoln, the politician whose memory and legacy dominated the Gilded Age, died as this book begins, but he never really vanished. 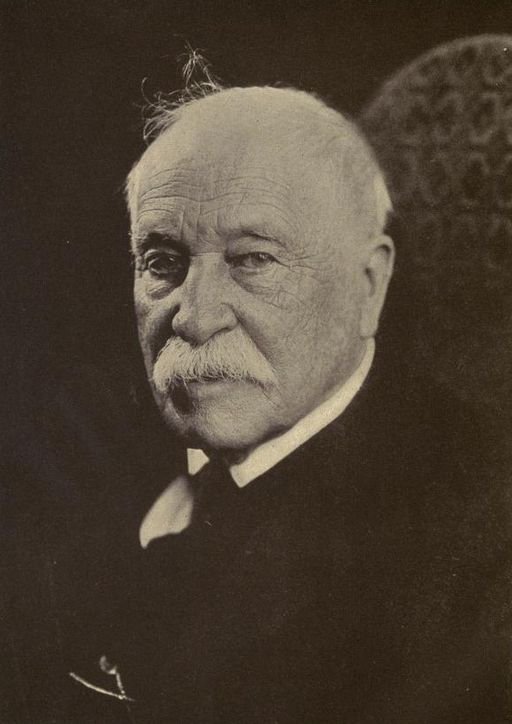 The novelist and critic William Dean Howells captured part of the reason when he reviewed John Hay’s and John Nicolay’s monumental biography of the president in 1890. Howells wrote that “if America means anything at all, it means the sufficiency of the common, the insufficiency of the uncommon.” Lincoln had come to be both the personification of the American common people and the nation’s greatest—and most uncommon—president. Howells thought it was the nation’s common people and common traits that most mattered. Howells, famous then and largely forgotten since, knew most everyone, but he always remained detached. He watched, and he wrote. His interventions in politics remained minor. Howells was a Midwesterner, and this was the great age of the Midwest. Originally a committed liberal, he came to acknowledge liberalism’s failures and insufficiencies, and then struggled to imagine alternatives. He did so as a writer, and he and his fellow Realists created invaluable portraits of the age. In his confusion, his intelligence, and his honesty, he reminds us that for those living through the Gilded Age it was an astonishing and frightening period, full of great hopes as well as deep fears. When Howells cryptically embraces the common, it is worth listening to him. Understanding his judgment of the “sufficiency of the common, the insufficiency of the uncommon” provides a lens for assessing the Gilded Age. “W. D. Howells” by Underwood & Underwood, featured in The North American review. Public domain via Wikimedia Commons. This entry was posted in Howells in the News on September 17, 2017 by Donna Campbell. The personal and professional relationship between Mark Twain and William Dean Howells was one of the most important in American letters. Howells was a significant literary gatekeeper as editor of the Atlantic Monthly and a major novelist in his own right. Understanding their relationship illuminates the culture, business, and ideas that animated post-Civil War American literature. Daniel Mrozowski is a visiting lecturer in English at Trinity College, Hartford, Connecticut. Dr. Mrozowski is the president of the William Dean Howells Society of America, a scholarly organization dedicated to the study of the 19th-century editor, author, and critic that sponsors regular panels at the annual American Literature Association convention. Dr. Mrozowski’s research and writing focuses on 19th-century American literature and its intersection with business history. He is working on a book about the rise of the corporation and its influence on American fiction during the Gilded Age. The Trouble Begins at 5:30 Lecture Series is sponsored by Connecticut Humanities. This event is presented at no cost but reservations are highly suggested. Call 860-247-0998 or to reserve tickets click here. Saturday, June 17, 5 to 6:30 p.m. Taste wines from Italy, Spain, Australia, Argentina, and America accompanied by a selection of savory appetizers & decadent desserts. Music provided by Rob McCrann. All proceeds benefit The Mark Twain House & Museum. Tickets are $35; advance purchase by JUNE 15 required. No tickets will be sold at the door. To purchase tickets click here. Deadline: June 15, 2017! Saturday, June 17, 9 a.m. to 3 p.m. This entry was posted in Howells in the News on June 13, 2017 by Donna Campbell. The Spring 2017 Howellsian is available on the Howellsian page and at this link: https://howellssociety.files.wordpress.com/2013/07/howellsian-spr-2017-vol-19-no-2.pdf . This entry was posted in Howellsian on May 22, 2017 by Donna Campbell. This entry was posted in Howells Society on May 20, 2017 by Donna Campbell. W. D Howells in the News Archive of Howells in the News. New items will be posted to this site.